(a) design and develop data-driven methodologies to model complex human behavior. 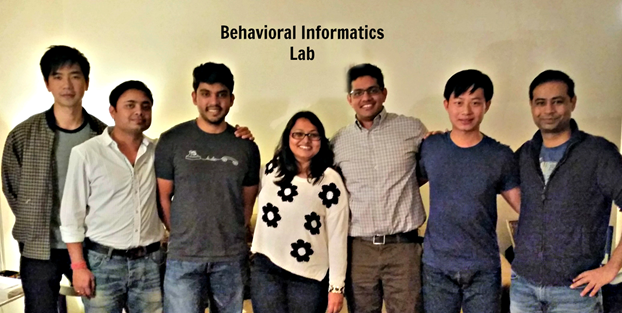 (b) conducting experiments to identify novel intervention mechanisms that shape human behavior. (c) catalyze research and innovation in the domains of clinical health and wellness, sociology, economics, communication studies and psychology through the use of emerging computational devices, tools, and methodologies. Computational Social Science, Data Science, Data Analytics, Behavioral Analytics, Behavioral Informatics, Social Computing, Social Media Analysis, Network Science. We are looking for self-driven ambitious students to join our research group. Funding is available for students with the right profile. Please email Prof. Singh at v.singh@rutgers.edu for more information.